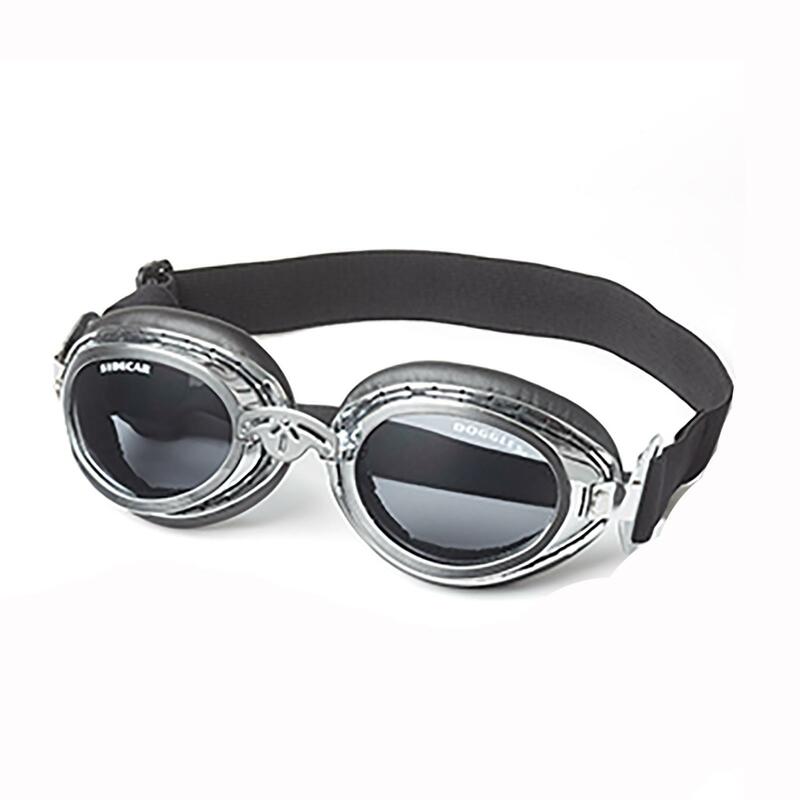 Take a cool looking ride and add some safety to your dog with the Sidecar Dog Goggles by Doggles in Silver! 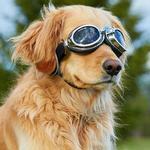 Class and protecting go paw and paw in the stylish and shatterproof Sidecar Dog Goggles by Doggles! Stunning goggles have designer look with faux leather padding sewn onto frame. Deep lenses add comfort and style to your dog. Lenses offer 100% UV protection with an anti-fog lense. Fully adjustable chin and head strap secure doggles to your pets head. Great for sturgis and any time your dogs are out in the elements. Doggles - Sidecar Dog Goggles - Silver Customer Photos - Send us your photo! Posted On 08/24/17 by carolyn b from , Yes, carolyn b recommends this product! I had a little change of mind after ordering but before delivery....they were very good about this and helped me out right away! !